Does Homeowners Insurance Cover Accidental Death/ Liability? We believe homeowner’s insurance is one of the most complicated kinds of insurance out there. We get more questions about homeowner’s insurance than any other kind of protection. When you think of homeowner’s insurance, you probably think about earthquakes, flooding, or any other natural disaster. Your homeowner’s policy can be much more than that. Let’s say you someone over for dinner, and while they are walking down the stairs, they take a tumble down. Hopefully, everyone would be okay, but you never know. There is a chance you could be held liable. What does it mean if you’re held liable for those injuries? Well, it means you are going to be responsible for some massive hospital bills. We want you to have the perfect homeowner’s insurance plan to protect not only your home but your finances. To help you, we are going to explore the liability coverage which is included in homeowner’s insurance protection. Just about every homeowner’s policy has a liability insurance portion. Each policy is different, but most are going to give coverage for up to $100,000 in personal liability. This means if someone were to get injured, and it was your fault, your homeowner’s policy is going to pay for up for medical bills and legal fees for up to $100,000. Your homeowner’s policy covers different categories in regards to liability. The first is bodily injury. This is the part which pays for hospital fees (it’s also called guest medical). This could be anything from ambulance rides, x-rays, dental work, and much more. Another part of the liability coverage is property damage protection. This is the part which will pay for repairs or replace of someone else’s property if it’s damaged while in your home or on your property. 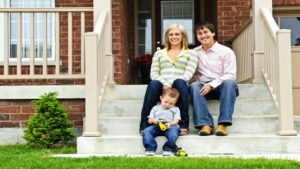 The personal liability part of your homeowner’s insurance policy coverage hundreds and hundreds of different situations, some plans cover more than others, but there are some common claims the insurance company sees. The most common claim for a homeowner’s insurance liability protection is a dog bite. They are extremely common. Based on the numbers from the Insurance Information Institute, dog bites account for around $400 million every year. It’s more than one-third of claims. As long as you have the proper homeowner’s insurance policy, you will be protected. A dog bite might not sound too serious, but it can rack up some massive hospital bills. Another common type of claim is any slip of falls. We used the example of someone taking a tumble down your stairs, the reason we used this example because it’s extremely common for family members or guests to skip on a sidewalk or on the stairs. If your house guests take a slip and falls, it’s coverage. If YOU take a slip and fall, it’s not covered. Homeowner’s policy has a household member exclusion, meaning anyone who permanently lives in the home doesn’t get the liability protection. Another part of coverage not offered by homeowner’s insurance is about your car. A lot of people think their policy will pay for repairs to their car if a tree falls on it or it’s somehow damaged while on their property. That’s not true. Your liability insurance portion will pay for another person’s home while it’s on your property, but not your own, that’s where your auto insurance would come in. Do You Have to Have Liability? Here’s the thing, you aren’t REQUIRED to have liability insurance for your home, but it’s going to be hard not to get it. 99% of homeowner’s insurance plans are going to include liability protection in their plans. The mortgage company is going to require you to have a homeowner’s insurance plan, and the plan has liability. As we mentioned before, most plans have liability coverage up to $100,000, but you can get more coverage if you want it. Most companies allow you to bump the liability protection up to $300,000. We can tell you exactly what’s best for you (especially without knowing your specific situation), but we think it’s a good idea to up your liability coverage. $100,000 might sound like a lot of protection, but when you’re talking about hospital fees and medical bills, it can quickly blow past the maximum coverage limit. Getting the additional $200,000 in coverage can make a world of difference if there were ever an accident. Need Help with Homeowner’s Insurance? We know all of these plans and coverages can be confusing. You don’t have to be an expert on insurance. That’s why we are here for you. We can be your experts. It’s our job to explain your coverage and make it easy for you to understand. If you have any questions about your homeowner’s policy, or you’re looking to save money on your policy, please give us a call. Shoot us a call at (720) 209-4598 or use our contact page. We would love to you and help you find the best plans for you and your home. ← How much is Homeowner’s Insurance in Colorado?